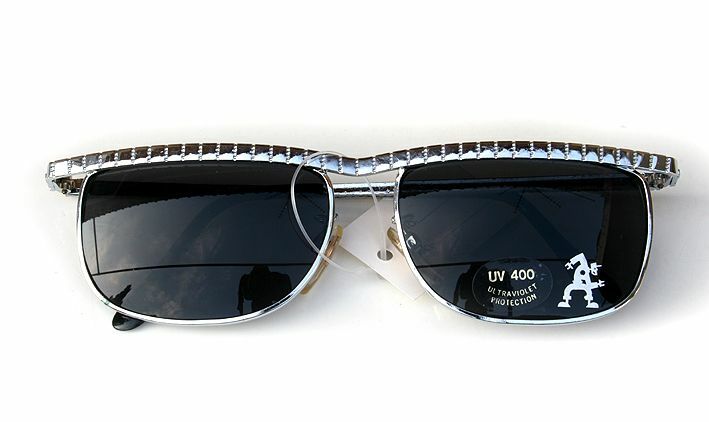 Square oblong shaped metal frame sunglasses, original vintage stock from the 1980s Punk era. Measurements are as follows. Temples are 05mm till the curving point. Poly carbon lenses with UV400.